Role of exercise in the prevention, treatment or management of health conditions associated with low levels of physical activity including Type 2 diabetes, cardiovascular disease, obesity, and mental health problems. Effects of exercise in rehabilitation after stroke and prevention of second stroke. Effectiveness of exercise as a treatment for depression and anxiety, especially in young people. Immune function and illness in athletes..
Risk factors for sports injuries. I always loved exercise but was not athletic! My original training was as a pharmacist. Research provided the opportunity to combine my love of exercise with my understanding of health problems to find the best ways of minimising the burden of major diseases like cardiovascular disease, stroke, Type 2 diabetes and depression. I would love there to be far more investment in exercise for health to improve and then provide our exercise programs to a wider spectrum of potential consumers and to see exercise used far more widely and aggressively in the prevention, treatment and rehabilitation of people with health needs. Professor Callister began her career as a pharmacist, working in community pharmacy for almost 10 years and consolidating her interest in health. By chance she found herself in Ohio, USA, with an opportunity to study physiology and discovered exercise physiology. Her initial projects were more sports science related, with opportunities to collect data at the US Olympic Training Center in Colorado, and even a visit to NASA in Florida. This early work identified illness problems in athletes and led to postdoctoral training in the need for a balance between diet and exercise. This was followed by further postdoctoral training in cardiovascular physiology in Arizona. On return to Australia, she obtained a lecturer position at the University of Newcastle where she has built her research career. For the past 15 years her work has focused on health issues related to exercise, ranging from immune-related illness in athletes in collaboration with the Australian Institute of Sport, to addressing obesity including asthmatics with obesity, Type 2 diabetes, depression and stroke recovery, as well as trying to identify ways to reduce sports injuries in amateur athletes. 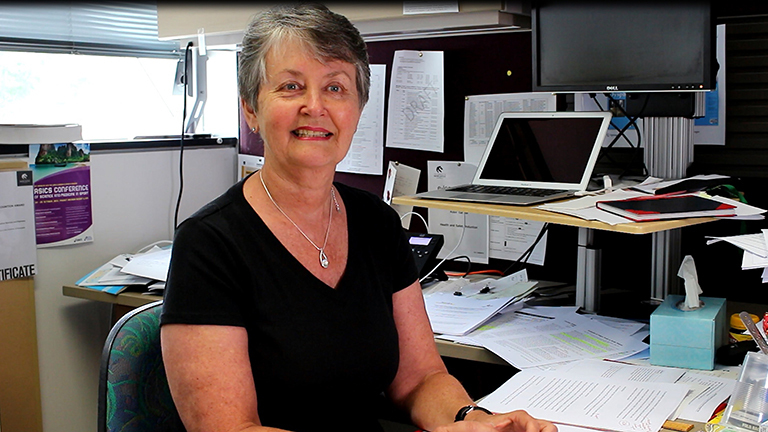 Professor Callister has published her research findings in over 160 papers in scientific journals, and presented her work more than 200 times at conferences in Australia and overseas. Her research has been funded by grants from NHMRC, ARC, Heart Foundation and beyondblue. She has supervised a number of PhD and Masters students to completion of their research degrees, and continues to mentor many young researchers. She also hosts a number of undergraduate students from the USA each year as interns in her research group. In 2012 she was awarded Research Supervisor of the Year by the UON Postgraduate Students Association. She has also received a number of awards in collaboration with her colleagues for her research in obesity treatment and prevention. I am working to determine whether a supervised exercise program is an effective treatment for young people with depression and also investigating the effects of regular exercise training on fitness after stroke and whether an exercise program can improve hand and arm function after stroke.